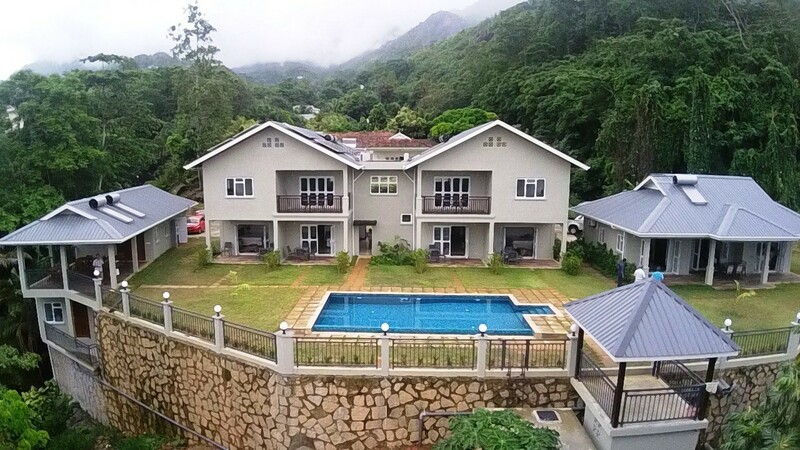 Bambous River Lodge is located on the banks of the Bambous river, situated at Mount Simpson Bel Ombre, on the north coast of the main island of Mahe. 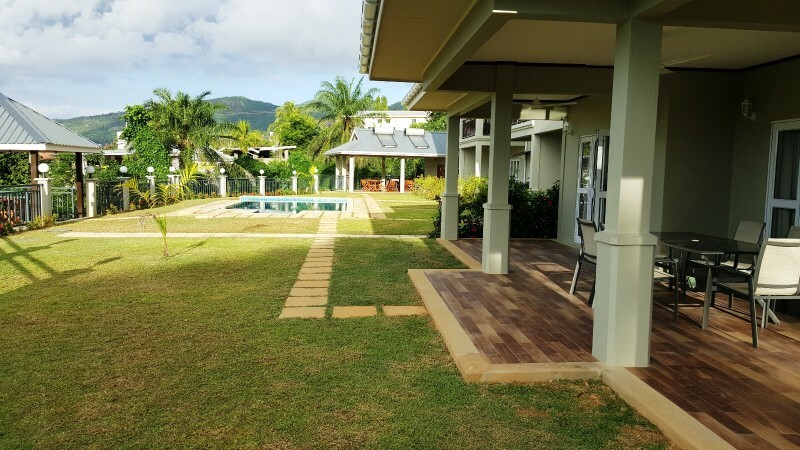 We are situated close to Marie Laure beach and a few minutes walk from the extremely popular and world famous Beau Vallon Beach featuring the white sands and turquoise blue water of the Indian Ocean. 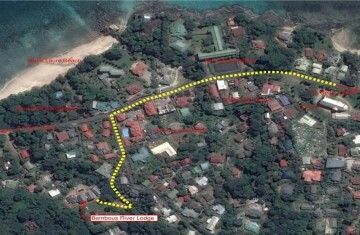 The Seychelles International Airport is situated at approximately 13 kilometres or 8 miles from our location. 4 No. 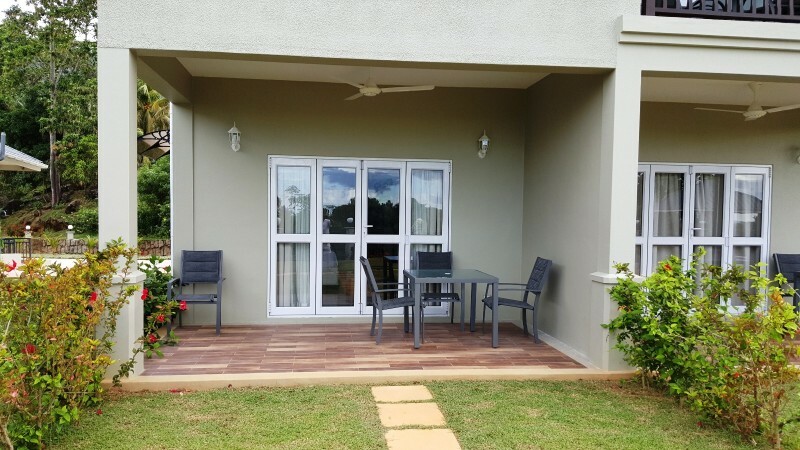 1 bedroom units or Studio (54m2), which can accommodate up to 2 adults. 2 No. 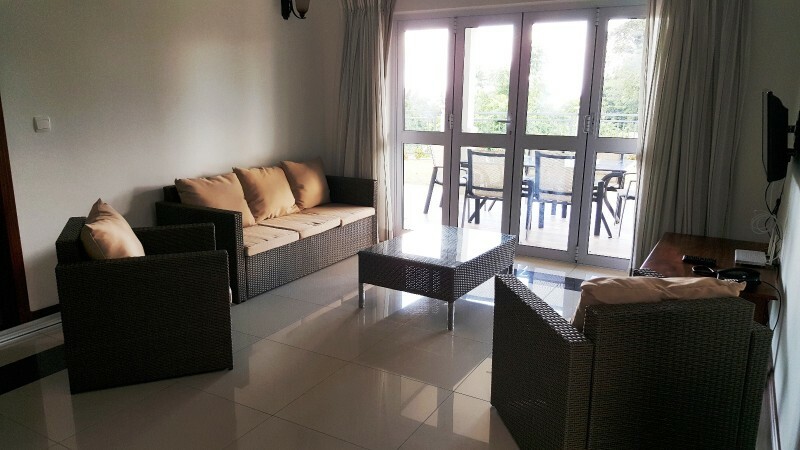 2 bedroom units or Apartment, (110m2), on the upper floor level. These can cater for 4 adults. 1 No. 2 bedroom detached Villa (124m2), also catering for 4 adults. 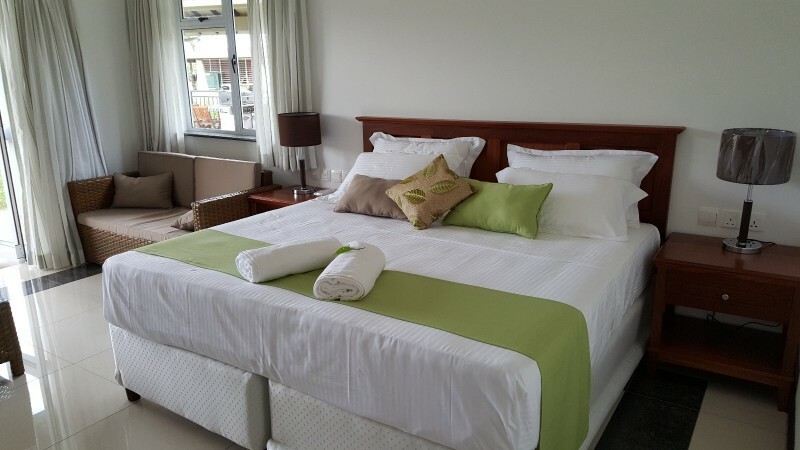 Extra beds (max 2) are available on request for the Apartments and Villa at an additional charge. 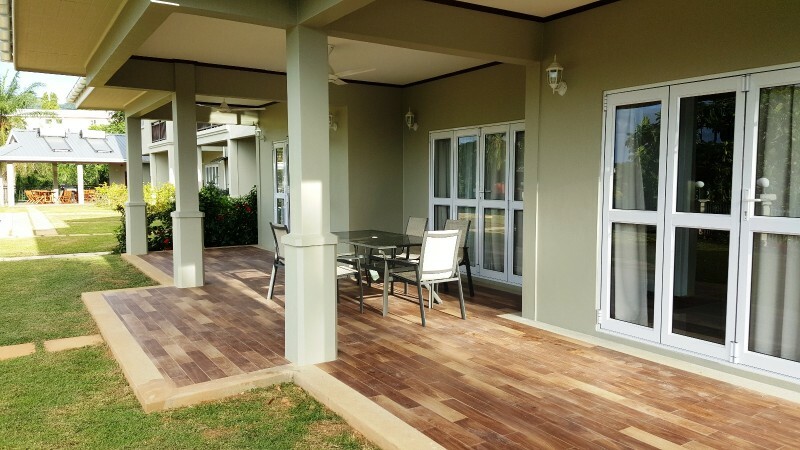 All units are equipped with a fully fitted kitchen, living space and a private veranda. Bedrooms are all fitted with air-conditioning and a ceiling fan. All other rooms are fitted with ceiling fans only. Each bedroom has its own en-suite bathroom comprising of a large glass shower enclosure, water closet and wash-hand basin. All bedrooms have a built-in wardrobe, with a built-in digital wall safe. 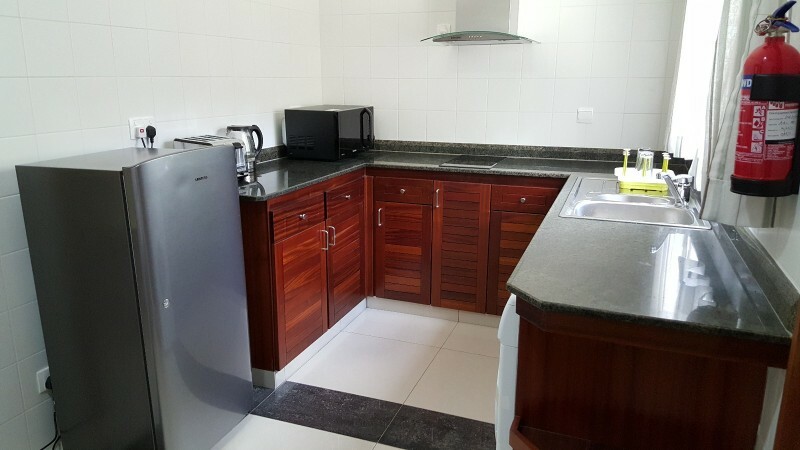 All kitchens are equipped with a washing machine, fridge/freezer, combination microwave oven, toaster and kettle. In addition, a four plate induction hob with electric oven is fitted in the Apartments and the Villa, whilst the Studio units are fitted with a two plate induction hob only. There is a 32" flat-screen TV in each unit and a telephone is also available, free for all your local phone calls. Guests can enjoy sun bathing in the privacy of our swimming pool. Relax in the gazebo area and make use of our Barbeque facilities. We are currently setting up a main kitchen and dining area to provide English breakfast on request in the near future. Bulk laundry is also processed in-house. © 2016 Bambous River Lodge. All rights reserved.